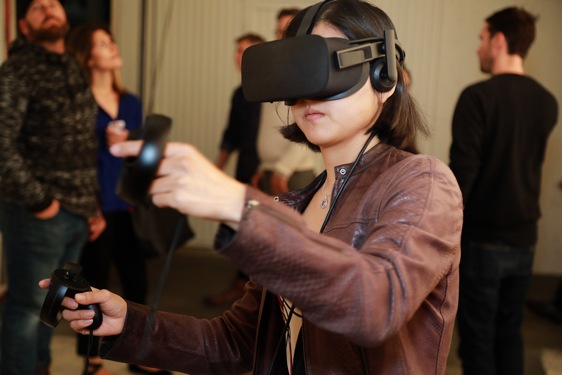 Photographs from CFC Media Lab’s COLLISIONS VR Salon event at The 14th Factory in L.A. Yes, it's the stuff Instagram dreams are made of, but don't let that fool you into thinking this is mere eye candy. 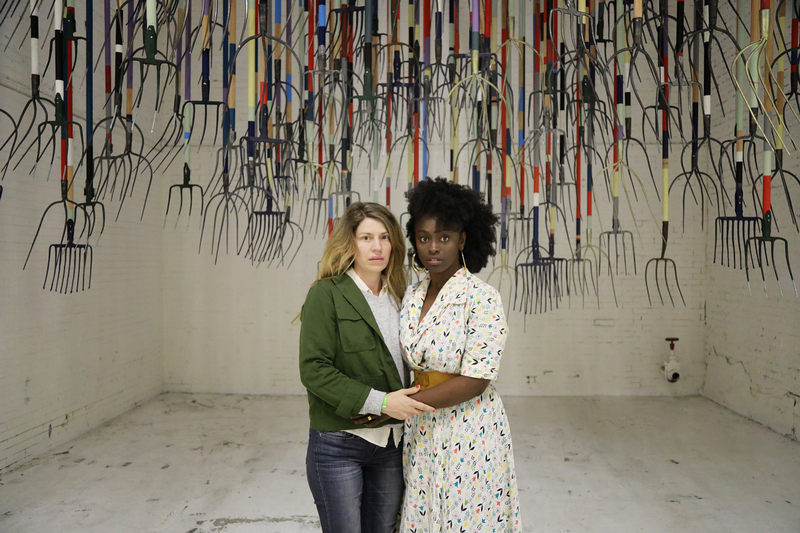 Evocative and nostalgic, The 14th Factory's space was made all the more magical by way of how one encounters it. All Photos by Eric Mihn Swenson. 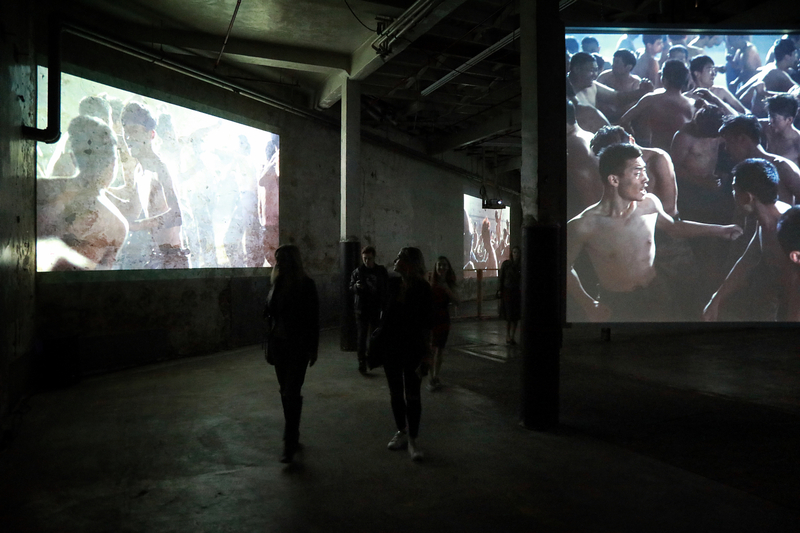 Barmecide Feast by Simon Birch and KplusK Associates is one of the more arresting pieces in The 14th Factory. 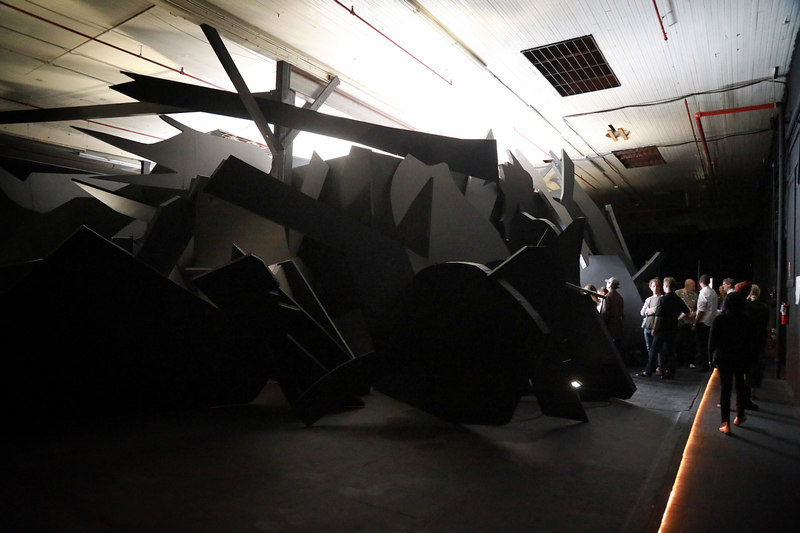 The Crusher, also by Simon Birch, is not for the faint of heart. 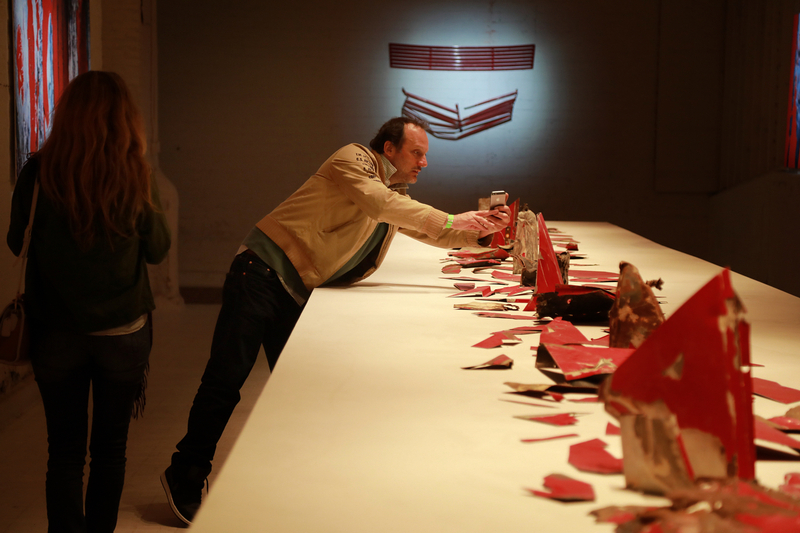 Not all installations at The 14th Factory require gutsy participation. 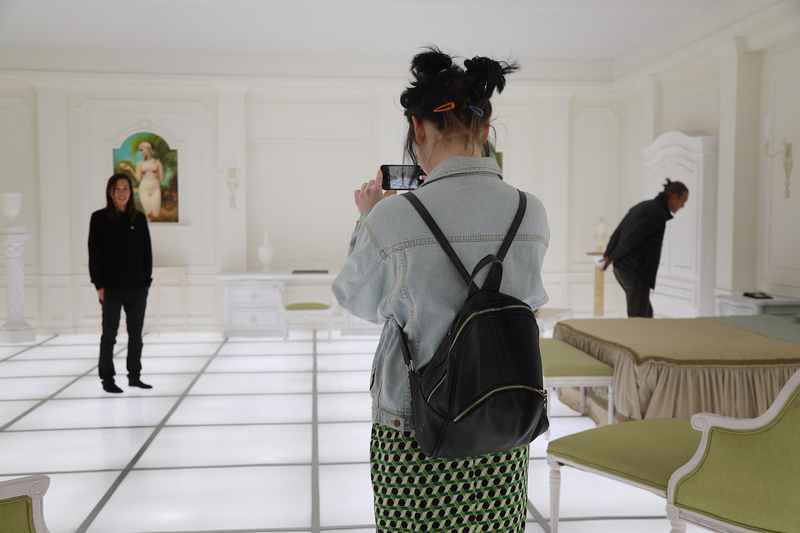 Here, the multi-screen projection by Wing Shya and Simon Birch is like a hypnotic ballet one could wish for only in VR. The Ferrari room, where after seeing the video installation of the car getting totaled, we get to see the idea of these broken shards reified into objets d'art. 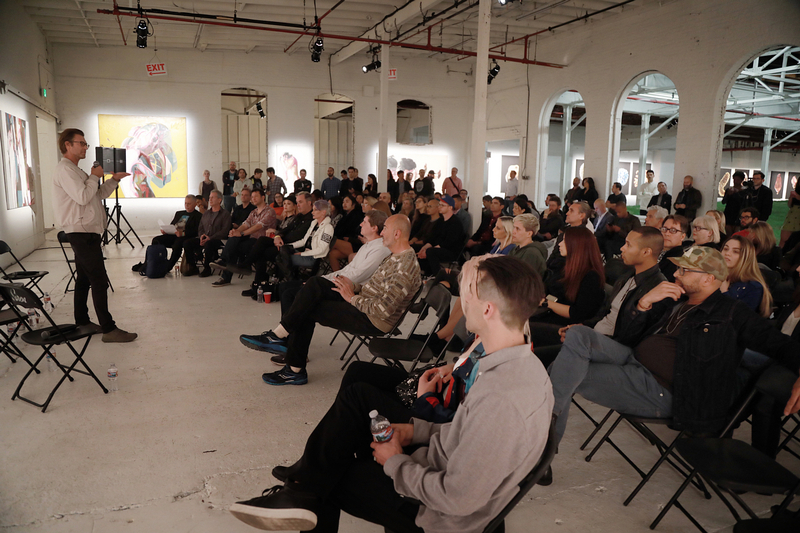 The14th Factory founder and artist Simon Birch kicks off the at-capacity COLLISIONS salon. 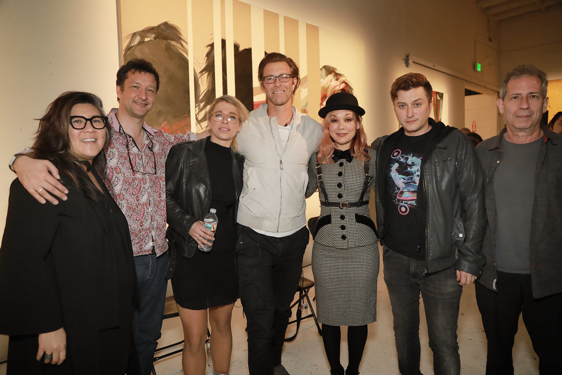 COLLISIONS guest speakers and panelists (L-R): Ana Serrano, moderator; Thomas Wallner, filmmaker and founder of Liquid Cinema VR platform; Samantha Matthews, co-founder and CEO of Venn.Agency; Simon Birch, founder of The14th Factory; Elizabeth McGrath, artist and performer; Keram Malicki-Sánchez, founder VRTO and FIVARS.net; Michael Naimark, artist and inventor of “place representation” works and Google's first-ever “resident artist” in their VR division. 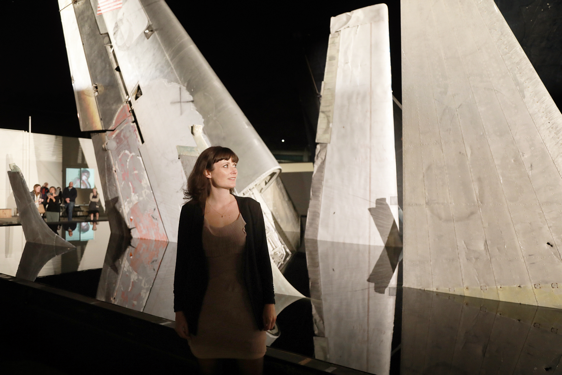 Meanwhile outside, Clear Air Turbulence by Simon Birch takes on a greater, quiet resonance as nightfall transforms the piece from dizzying display of salvaged airplane components into onyx monolith. Trying out the VR demos by Brinx's Masterpiece VR.